Women who like to travel off the beaten path may find engaging a private tour guide very useful. Private tour guides can help plan an itinerary to your exact specifications, navigate to sites that aren’t easily accessible for most tourists and offer in-depth information and analysis on a variety of different topics during the tour. However, private tour guides are not for everyone. 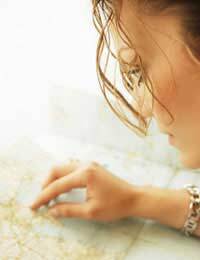 If you are considering travelling with your own guide, determine if you will be comfortable alone with a virtual stranger, verify a potential guide’s credentials, find out about overnight accommodations and do not travel without a prepared itinerary and at least one means of emergency communication. Travelling with a private tour guide means that you will be in close daily contact with a virtual stranger. While this is the same if you travel with group tours, the difference is that private guides generally work with much smaller groups and lone travels so your time alone with them is usually much greater. Some people have no problem with this, but others find the idea of so much interaction with someone they don’t know a little off-putting. If you prefer not to interact so closely with a stranger then group tours or organising a small tour with your friends may be a better idea. Before you book a private guide ask for details of your guide’s credentials. Most tour guides are licensed with some sort of tourism authority and tourist agencies themselves usually have information available about each of their guides. Try to have this information sent to you before you leave home so that you do not have to scramble later in case of emergencies, and also ask for general information about a guide’s particular strengths and weaknesses. If you are more comfortable travelling with a female guide feel free to ask for one. Often women travel with private guides to remote or secluded areas so overnight accommodation could become an issue. While it may be possible to stay in hotels, it may also be that camping or other outdoor accommodations are the norm. If you are not comfortable with this you’ll need to make it clear before booking the tour guide and setting the itinerary. If you are simply uncomfortable sharing close accommodation with the guide but are otherwise open to different kinds of accommodation then make this clear as well. Knowing where you are going with a private guide is important not just so that you are sure that you get to see what you want to see and go where you want to go, but so that you can share these plans with others in case of emergency. Always leave a copy of your itinerary, complete with details of your private guide, with at least one friend or relative at home. Also leave detailed information on how to get in touch with the tourist agency, and if there are any ways to contact you if absolutely needed. Making sure that you have a means to communication with others is essential when you travel with a private tour guide. This may mean keeping a mobile phone charged and with you at all times, it may mean making arrangements to collect messages at specific stopping points or it may mean working a radio at some time. A private guide should have at least one mode of emergency communication as well, so be sure that you are trained in how to work it in case you need to later on. Many women choose to travel with a private guide when they are abroad. If you are considering travelling with a private guide, make the most of this opportunity by determining if you are comfortable travelling closely with a stranger, verifying the guide’s credentials, discussing overnight accommodation, looking over and leaving a copy of a prepared itinerary and travelling with at least one method of emergency communication.